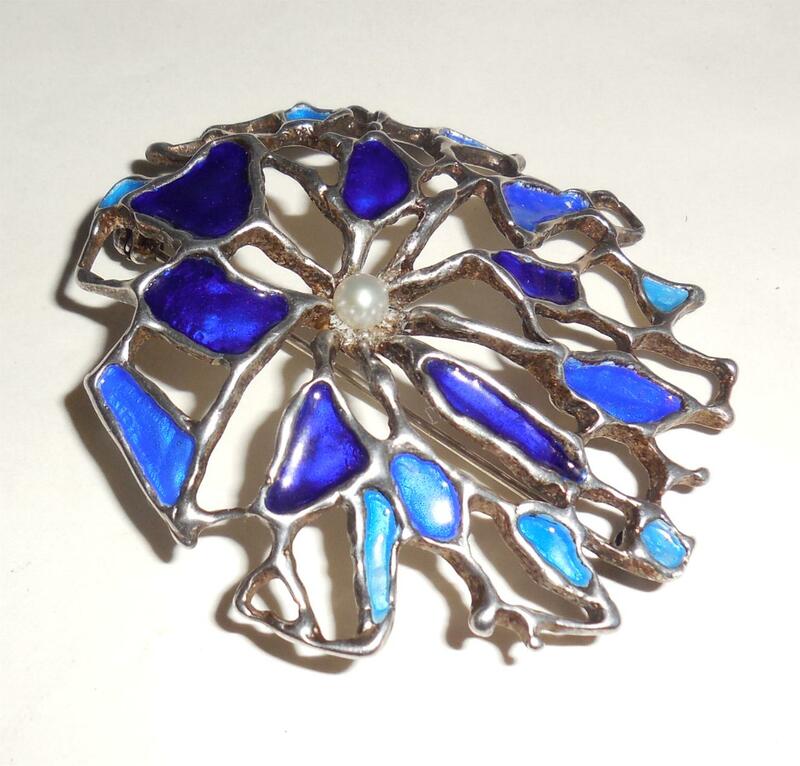 This is a stunning, large, brilliant cobalt blue enameled, Mid Century Otteren for David Andersen sterling silver pendant or pin. 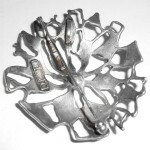 It has a strong mid century modernist abstract design and is fully maker marked. Size is 2 1/2″ wide East West by 2 1/4″ tall North South. 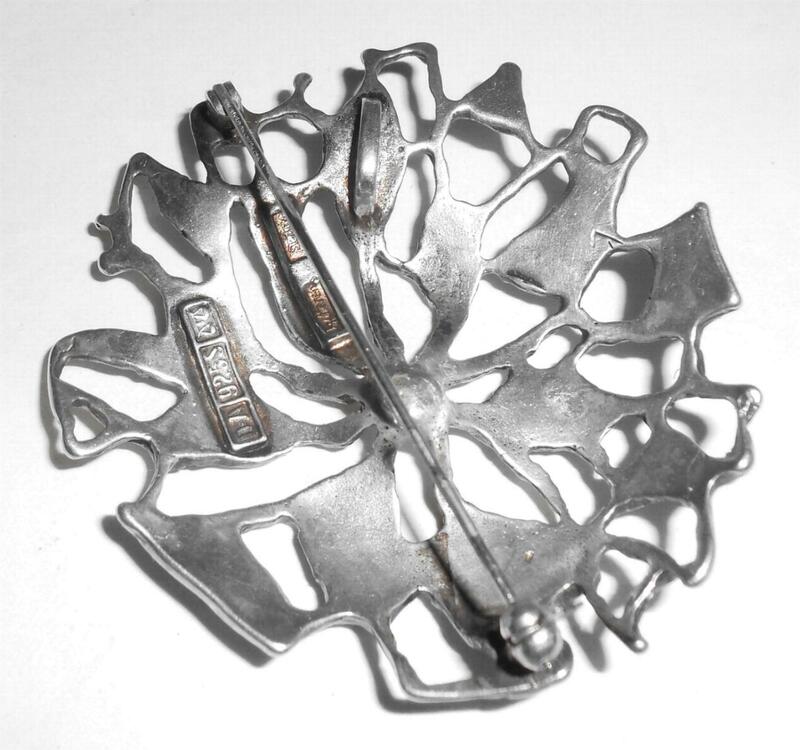 There is a hidden bale in the back so it is able to be used as a pendant or it can be worn in any direction as a pin. 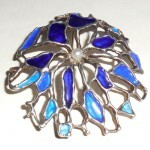 The center holds a natural, cultured, cream white pearl that is a vintage replacement for the original. It measures just over 4mm across. 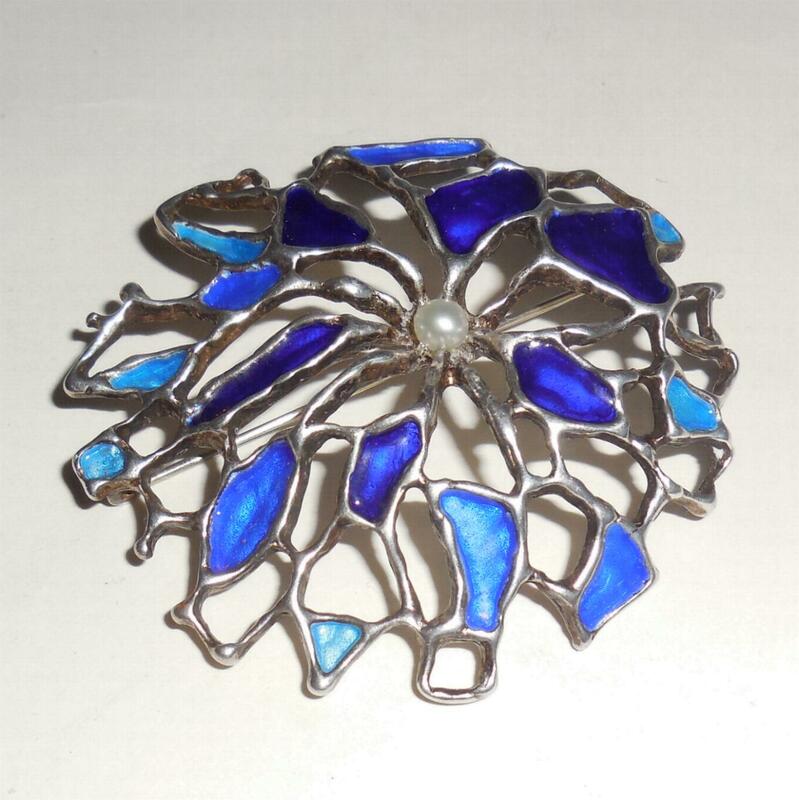 Luckily this pin was originally crafted with a glued in pearl that is easily replaced if lost. From an estate and in excellent, very gently used condition. No damage or repair. No damage to the bold enamel work. 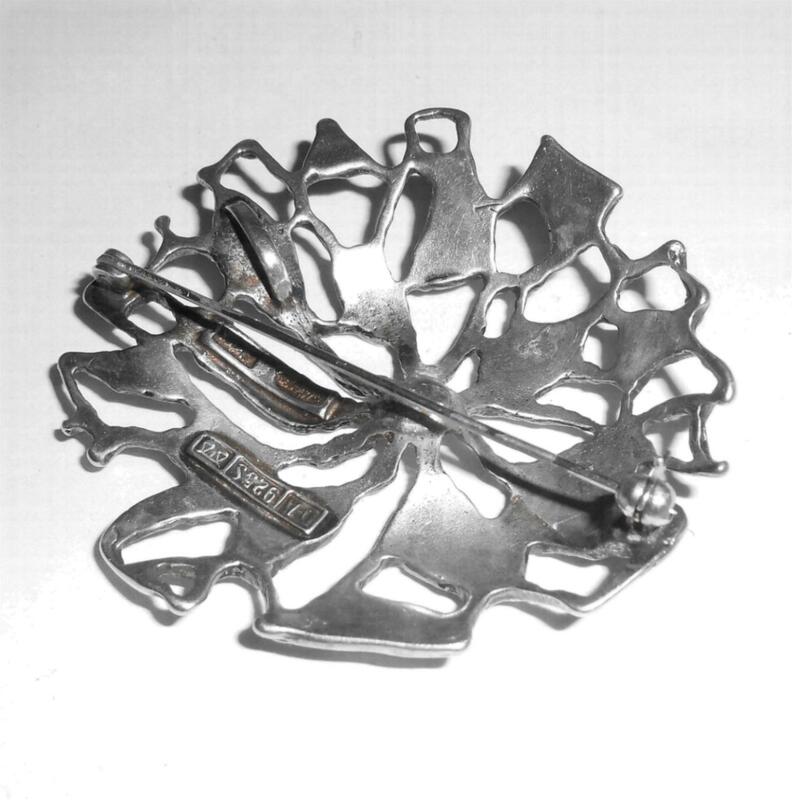 Being strong in both crafting and design by a very well-known and prominent maker of mid century Scandinavian jewelry this is a highly impressive vintage statement pendant/pin for your collection. 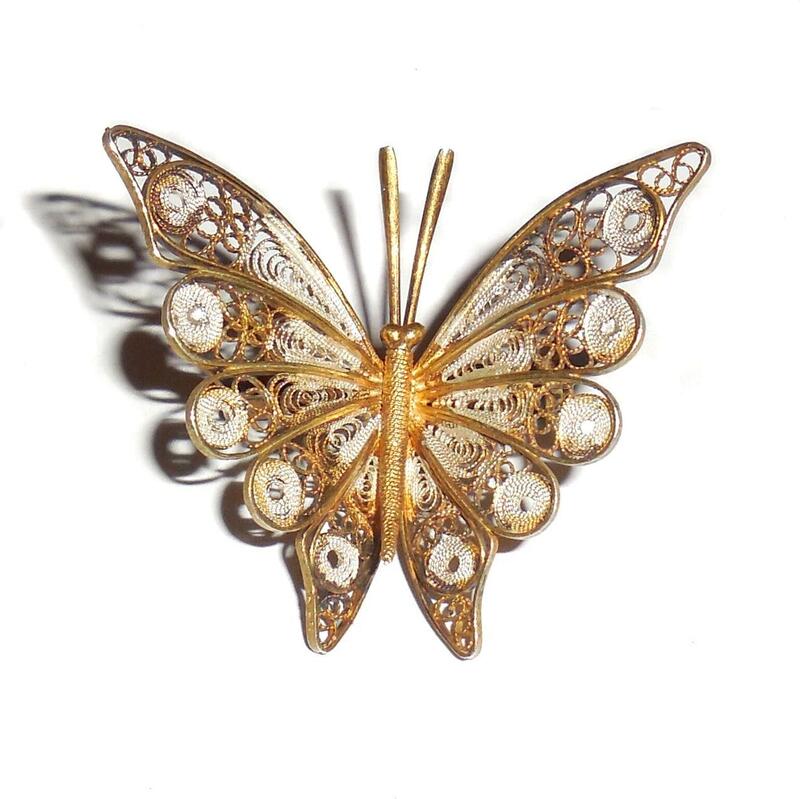 This is a fancy filigree late Art Deco 1940s to early 1950s Portuguese Gold over 800 Silver three dimensional butterfly estate pin with white enameled highlights. It jutts out from a lapel like an actual butterfly would look if it was sitting on your lapel or other piece of clothing. 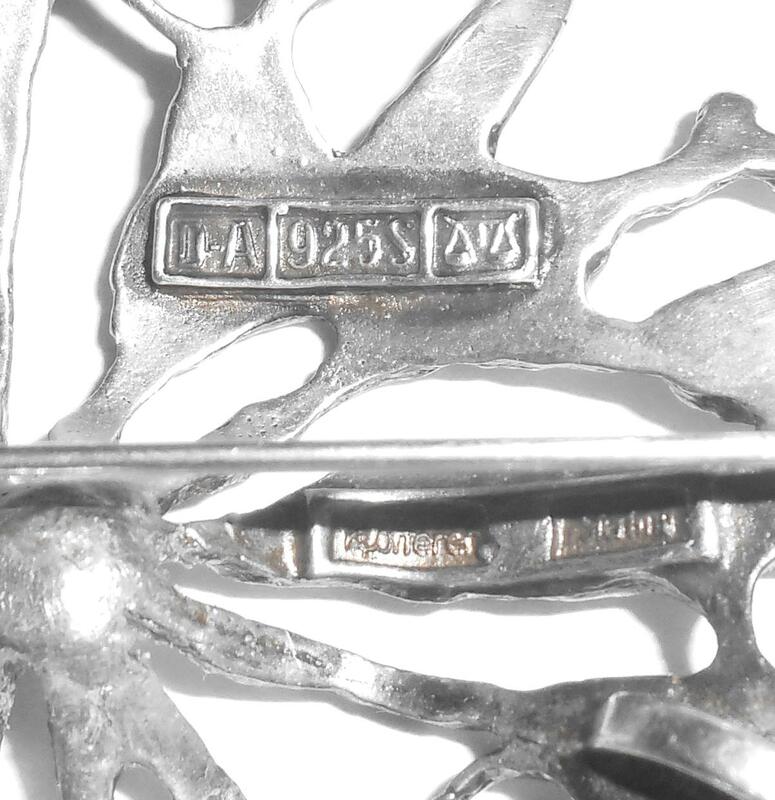 It is marked 800 and Guaranteed to be solid 800 silver. 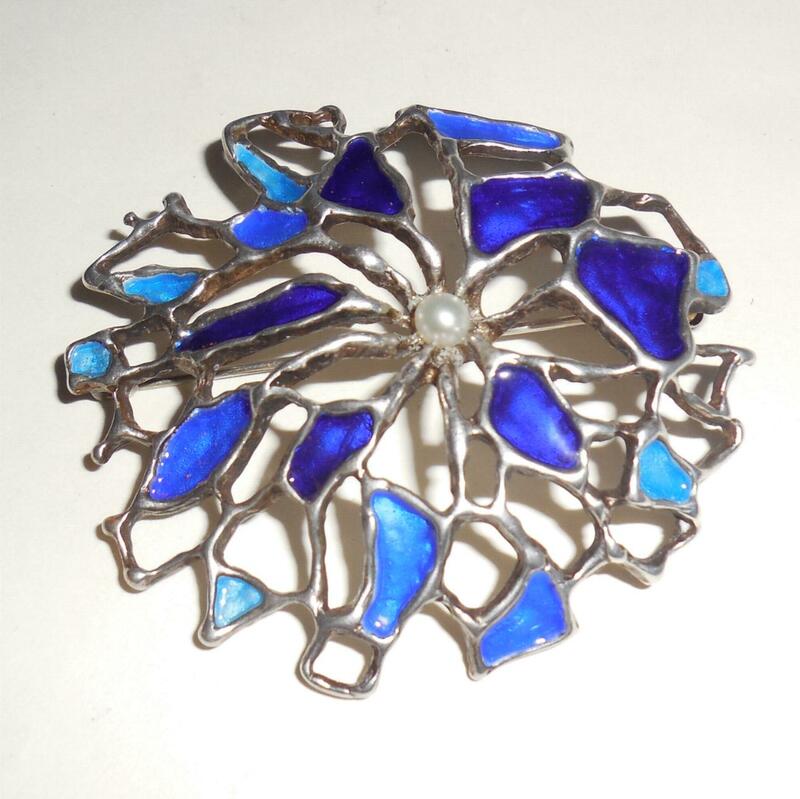 These European made filigree pins were popular during the 1940s and 1950s. 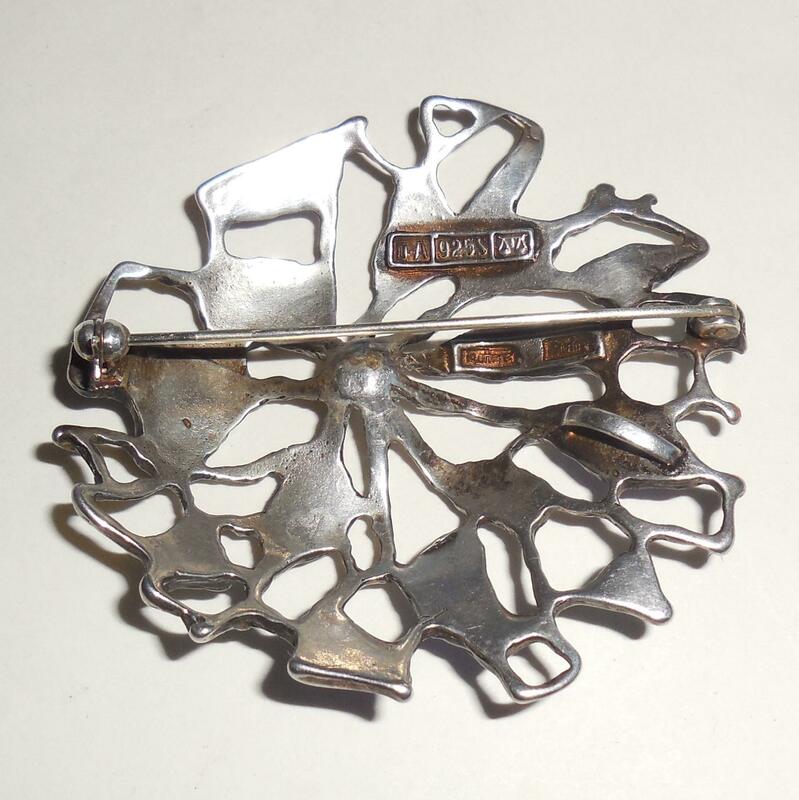 It still has its original pinback clasp with side supports that are hand welded to the pin. Size of this pin is just about 1 1/2" long north to south from the top of the antennae to the bottom of the wing by 1 1/2" wide across the top wing span east to west. Height/depth is 5/8" from front side wing edge to back clasp. Condition is excellent, gently used. There is some light age wear to the gold, what you would expect to find. Minor wear. The gold is still 98% intact. All filigree is intact. No breaks. No dents or dings to this pin. No tears or deep scratches. No alteration or repair. Completely original. 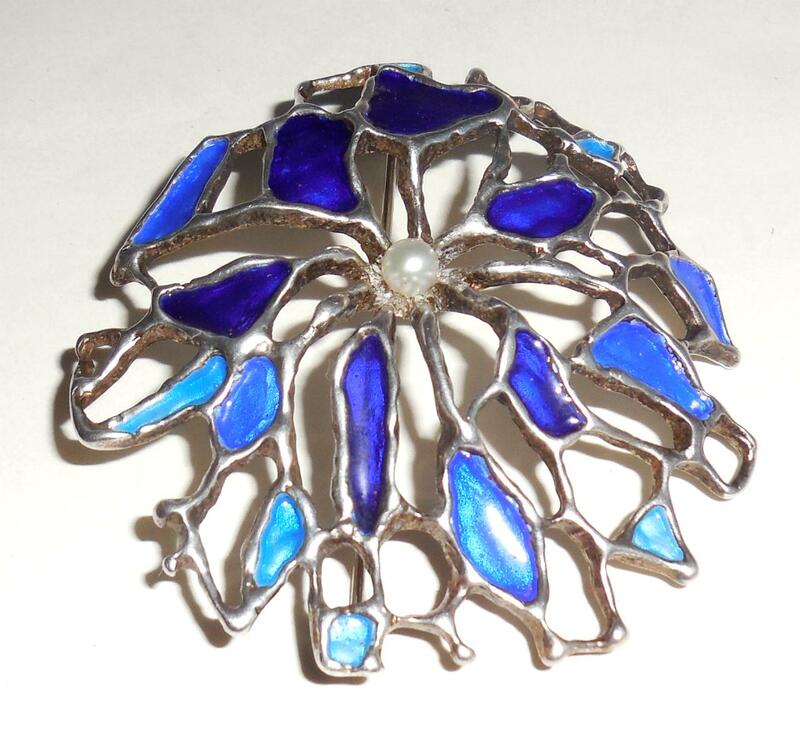 This is a lovely estate find for your antique and vintage jewelry collection. 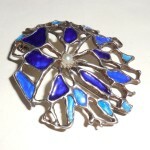 This is a large well made noticeable Art Deco era pin. 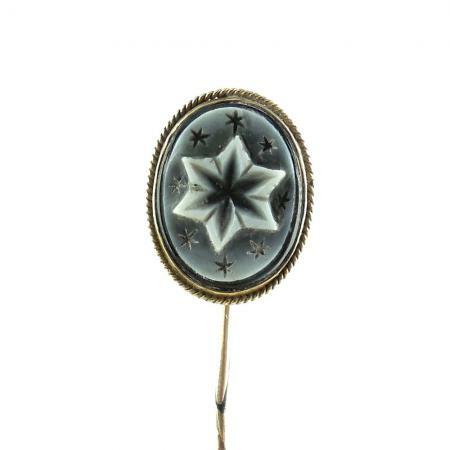 Gorgeous hard to find Victorian 14k Gold Carved Stars Banded Agate Stickpin. From an estate and in completely original condition. 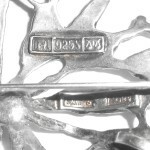 Somewhere along the way it was jeweler marked 14K; it is also tested and guaranteed to be solid 14K gold both head AND stick. 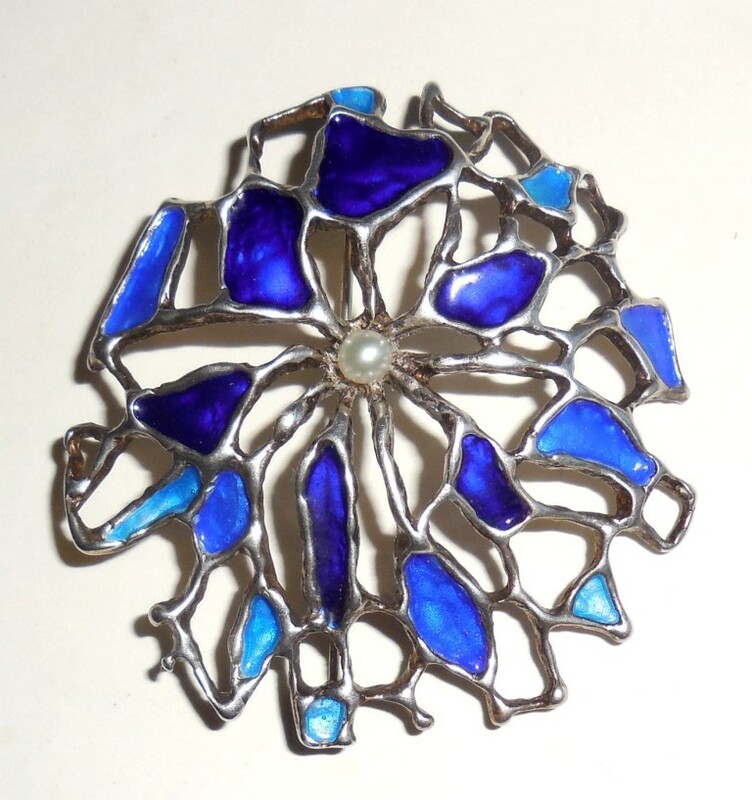 Original, authentic mid 1800s and beautifully hand made. The carved banded agate stone is stunning. It has a deeply carved flower star in the black layer of the banding amid a more sharply defined carved star in the white layer of the banding. Accenting the central carving is the grayish black level of banding which is carved with tiny stars around the perimeter. This agate was then carefully housed in a lovely 14K gold bezel with a hand twisted and wrapped 14K gold frame. 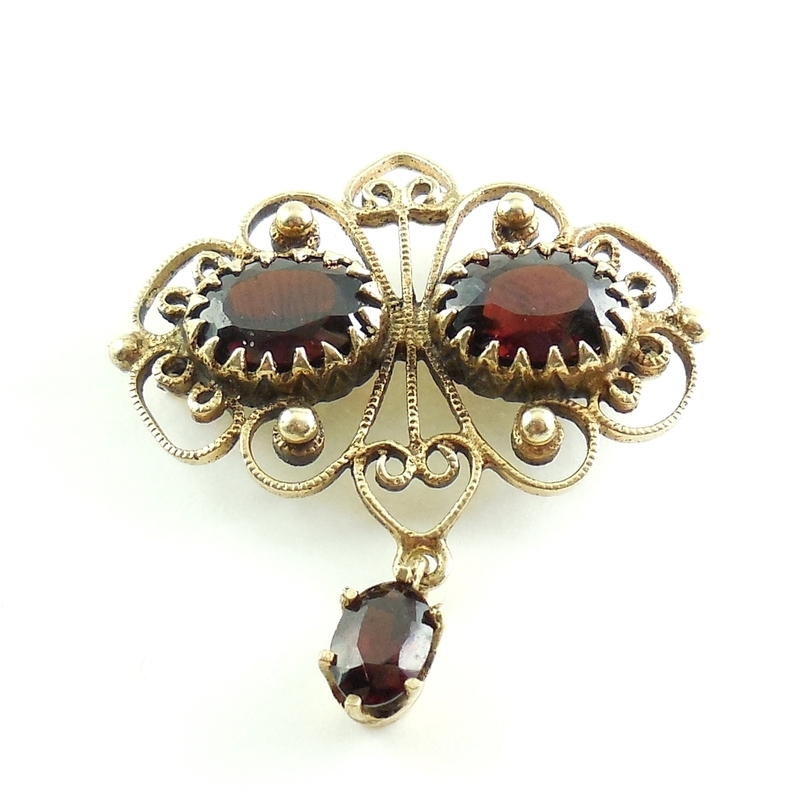 Absolutely gorgeous antique Victorian hand crafting and use of fine quality materials that you no longer see today. Other than a very small age/use fingernail crease on the upper back and a small age bend in the stick it is in excellent condition. Size is 2 1/2″ tall North to South. The head is 5/8″ by 1/2″. 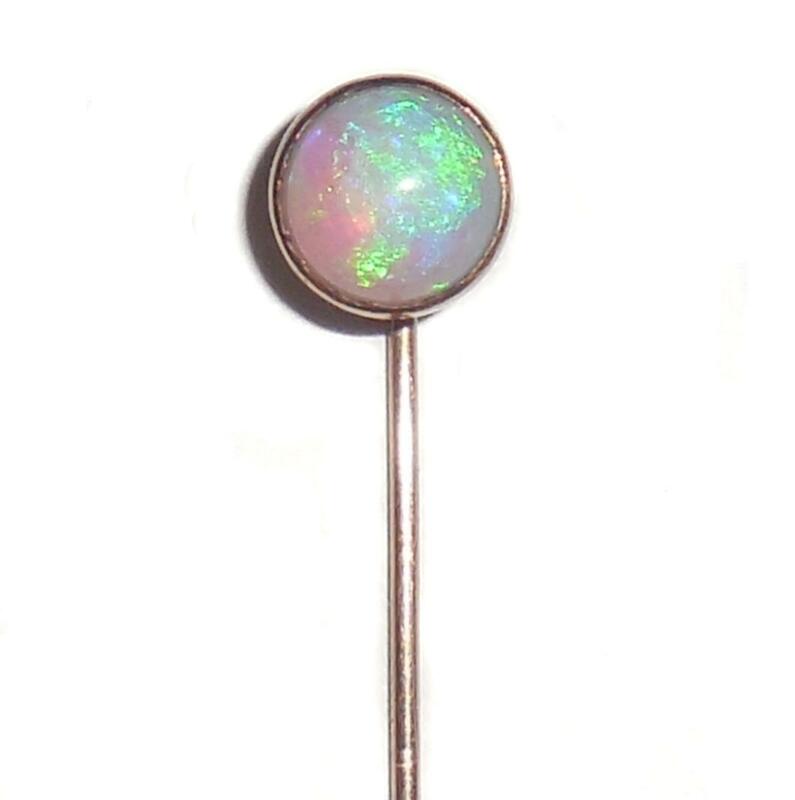 This is an impressive and hard to find carved agate for your Victorian gold stickpin jewelry collection.